Tiago Estevao lists 10 Young Players to watch in the 2016 edition of MLS. The MLS is, with every year that goes by, more of a league built around its talented youngsters than a league just made up of old stars in the decreasing years of their career. 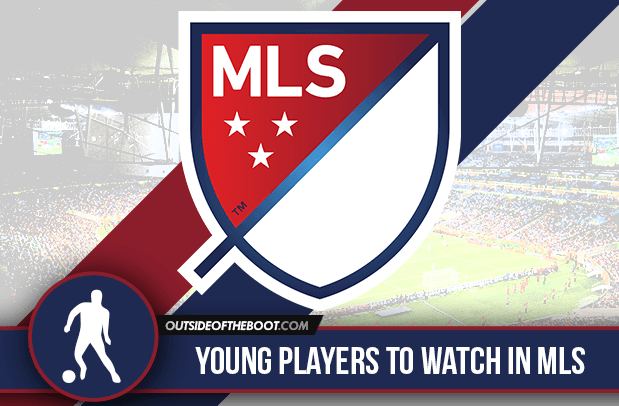 With the 2016 edition of the MLS having just started…Who are the new youngsters to follow? Anyone that is a MLS follower would just know that Kellyn Acosta had to be here. The FC Dallas midfielder is probably the most experienced 20-year-old playing in the United States: growing up in Dallas, Kelly was part of the club’s youth academy ever since he was 13 and signed a “homegrown player” contract at 17. This means that, right now, with him on his way to become 21 in July, he is starting his fourth MLS season. The versatile youngster is able to play as a full back on both sides and in the deeper part of the midfield, with his experience and tenacity giving him the awareness not to make mistakes often. Albeit needing to work on his short build up play, the 20-year-old has all the other features of a defensive midfielder: timed tackles, well placed long balls and ability to shoot from range. Acosta is already capped by the senior USMNT and you can expect great things from the Texan. Even if you’re not an avid MLS fan, you’ve probably heard of the player that managed to outshine Kaká in Orlando’s first MLS season. 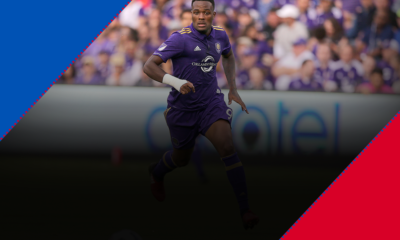 After excelling at youth and college level, Cyle Larin was Orlando City’s number 1 pick of the 2015 draft – due to being a new expansion team, OC held that first choice and took the Canadian to Florida. 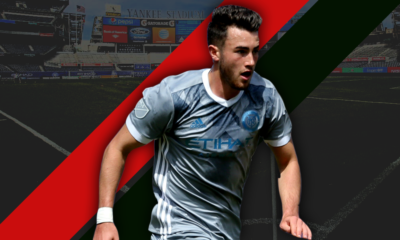 Last year he had a fantastic season; after scoring his debut goal in April, Cyle became a starter and beat the record for goals scored by a rookie with 17. With a “Rookie of the Year” award in hand, the prolific striker started 2016 equally well: one assist and three goals in 3 matches played. He is a lot more than “hype”, Larin is a complete striker who can finish plays in a multitude of ways and who doesn’t need much space to fire shots at the opposition. Standing at 6’1”, the Canadian international is a complete hassle for defenders to deal with. Larin also was one of our 100 young players to watch in 2016. Diego Fagundez is one of the “pretty boys” of the MLS. Often even compared to Justin Bieber by his peers due to his popularity amongst the female crowd, the 21-year-old has been a part of the Revolution squad since 2010. Joining at such a young age, the Uruguayan has always had an impact on and off the field but 2016 is setting up to be his year. 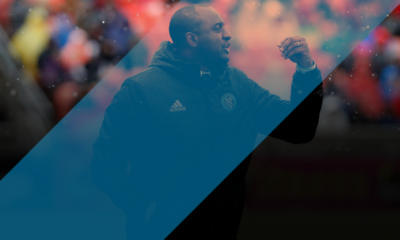 Instead of being an impact sub, the tricky winger is now not only a starter but a key piece of Jay Heaps’ offensive scheme. Known for his ease in finishing with his right foot, the youngster plays from the left with a clear tendency to drift inside. After starting the year with a goal and two assists in four matches, the Uruguayan will be looking to continue his form and take the Revs to the playoffs. Perhaps the most surprising pick for this top 10, Jordi Quintillá has been impressing in the early stages of the season. A product of La Masia – yes, the well known Barcelona academy – the 22-year-old is the typical Spanish center midfielder: silky smooth on the ball, great vision, able to assist team mates with a pin point pass almost whenever he wants. Despite his quality, Jordi had trouble finding playing time in Spain when he became a senior due to the wide selection of players with similar characteristics to his in the country. After a few loans and a year-long spell in the south of France with Ajaccio, the Spaniard arrived in Kansas late last summer. There were quite a few question marks around him and his quality due to him never truly establishing himself during the 2015 season but ever since the start of the new year, Quintillá has been in the eleven for all of the SKC matches and already has one assist. It could be his season to shine. Jordan Morris is definitely in one of the most unique situations in world football. Last year, the forward spearheaded Stanford in a fantastic title winning campaign and was called up to the USMNT by Klinsmann when he was still playing college football. In the transition between 2015 and 2016 a jump to Europe could’ve been made but a move to Bundesliga’s Werder Bremen was reportedly denied by the youngster who had the intention to sign for an MLS side. Now a starter for the Seattle Sounders, Morris already has 9 caps (and one goal) for his national team. It’s obvious that the Sounders – and consequently Morris – are having a rocky start to their year but eventually moving the youngster to his preferred central forward position instead of adapting him to the right might just turn their season around. This wouldn’t be a list about the top MLS youngsters if we didn’t include multiple FC Dallas players – the Texans have arguably the best academy in the league and Jesse Gonzalez is just another talent who plays there under Oscar Pareja. Looking back, 2015 was fantastic for the Mexican: he played in the U20 World Cup for his nation, gained a place in the starting eleven for FC Dallas and even went from a “talented young keeper” to an absolute fan-favorite with his play-off heroics. Mature, focused and with terrific reflexes – there aren’t many goalkeepers that start for a club in a major league at the age of 20 and taking into account their regular evolution curve, we can only imagine a bright future ahead of the youngster. Born in Gambia, where he started his professional career, Kekuta Manneh arrived in Austin in 2012, to play for Austin Aztex. A year later he would be getting selected in the MLS Superdraft by the Whitecaps. Now 21-years-old, Manneh is becoming gradually more important for his side and will most likely start from the left this season in a tricky front four alongside Morales and Techera or Bolaños, with Rivero starting up top. Whether starting on the left, up-front or from the bench, the youngster shines due to his incredible velocity and ease with which he gets past opposite defenders. Able to do great things with the ball at his feet, he is also enough aware of the game around him to be able to pick teammates with key passes or to show up in empty spaces behind defenders. Just know that if you see Manneh running through on goal you’re definitely not catching him so…good luck to your keeper. The Portuguese right back joined Orlando City in the light of the partnership with Benfica and still managed to play a couple of matches with Orlando in the USL. His performances were impressive and he rose to the MLS with the Florida side. Aggressive in and off the ball, the right back is agile and joins the attack often – it’s not rare to see him crossing balls from the right onto Larin, for example. The Portuguese really took a gamble by moving to the United States but it paid off due to his quality and work – now he is a regular in the Portugal U19 squad and will try to take Orlando to the playoffs in his second MLS season. One of the key pieces that is trying to take the United States’s U23 squad to Rio next summer is Fatai Alashe – yet another promising American midfielder. 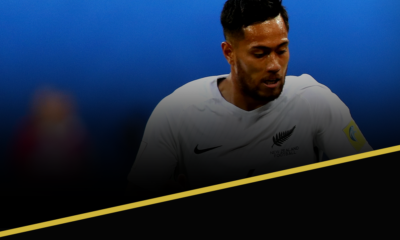 Last year Fatai was one of the early pick ups in the draft, signing with the Earthquakes and quickly displayed his quality at the Buck Shaw stadium – having an impressive rookie season. Part of the EQ’s two-man midfield, the Michigan born is a good tackler who tends to cover a lot ground. Interestingly enough, despite his deep position within the midfield, Alashe already has two goals for Dominic Kinnear’s side and had an impressive scoring record during his youth level years. Just like Larin, after a great debut year there’s the need for a great confirmation year… we’ll see what happens. One of the most interesting signings of the 2016 season is definitely Carlos Gruezo. The promising young defensive midfielder, aged 20, spent his youth career in several Equadorian clubs, he signed for Barcelona SC where he spent two years before making a deal with VfB Stuttgart of the Bundesliga, labeled as a future star. While in the beginning of his career through European football he seemed to have his spot locked up in the team, he lost his place in the team with his poor performances and needed a new path. Now the 20-year-old is trying to become an important piece for FC Dallas after signing a young designated player contract. Good on the ball with great vision and passing technique, he’s often considered somewhat sluggish but with someone as energetic as Acosta partnering him, Pareja’s side will surely have their inside play improved in 2016.